The best sporting equipment is known for being extremely durable, versatile, and it is made with the assistance of experts themselves. When it comes to football, the best equipment does not have to be the most expensive as there are many retail brands offering top-quality products for affordable prices. There is a reason that the majority of athletes wants to promote the most popular brands, such as Puma, Adidas, or Nike, and Umbro. Adidas, a German multinational corporation, is the biggest sports manufacturer in Europe, and the second biggest in the world. Adidas is best known for manufacturing sports clothing and shoes, as well as accessories. Football kits and equipment have always been Adidas’ principal focus, as this company is the major supplier of team kits for various football clubs and teams. Some of the most popular football boots in the world are Adidas Nemeziz Messi 17.3, Adidas Predator 18+, and Adidas Copa Mundial. 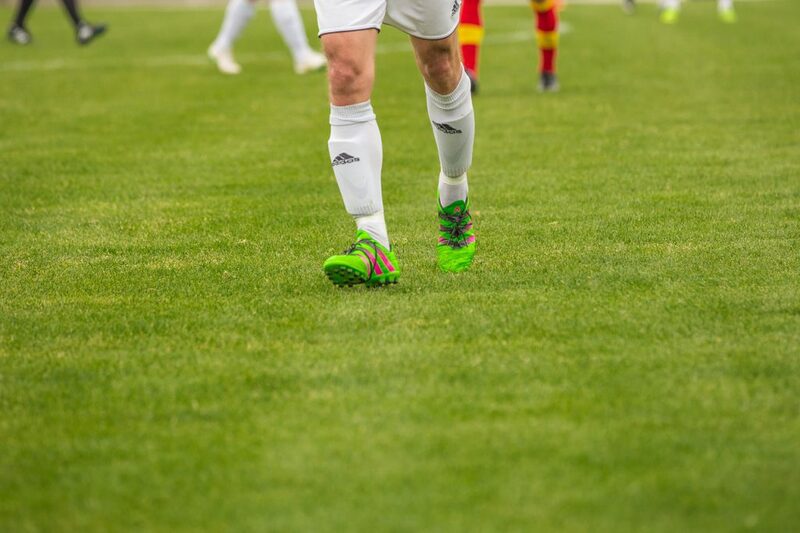 Adidas Ghost Replique and Adidas F50 Lesto are top-rated ankle shin guards preferred by many pro football players. The adiPure range of football boots. The official ball of the 2018 World Cup was the Adidas Telstar 18. Nike is an American multinational corporation which is the world’s greatest supplier of athletic shoes and apparel, and one of the biggest sports equipment manufacturers in the world. When it comes to football, Nike is best known for making top-notch shoes and apparel. Nike Mercurial Superfly V FG and Tiempo Legend VII FG are considered to be some of the best boots for football you can find on the market. 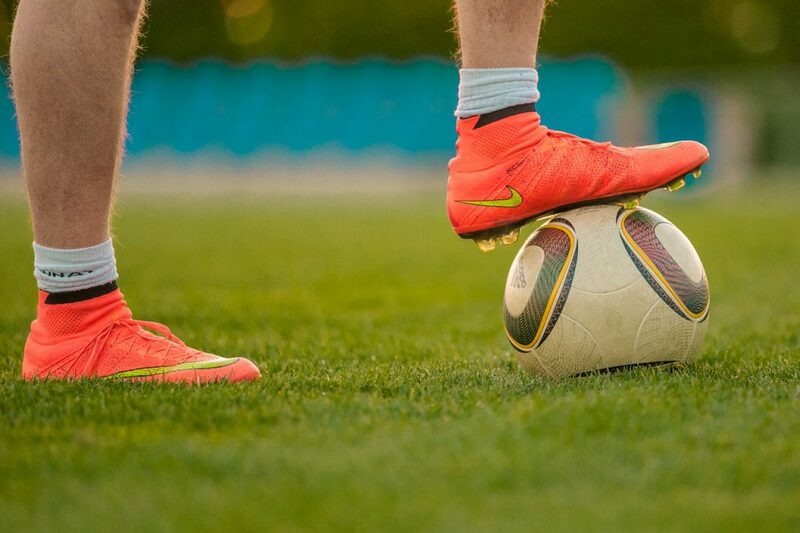 Some of the most famous and best football clubs have Nike sponsorships, including Barcelona, Manchester City, Chelsea, PSG, and Dynamo Moscow, to name just a few. Puma, a German multinational company which designs and manufactures sports footwear, apparel and accessories is the third largest sportswear manufacturer in the world. Many international football players wear Puma cleats –for example, Olivier Giroud, Antoine Griezmann, Cesc Fabregas, and Luis Suarez. Puma also sponsors some of the greatest football clubs in Europe – A.C. Milan, Arsenal FC, Borussia Dortmund, and many others. Umbro is an English company specializing in football apparel, footwear, and equipment, selling products in more than 90 countries worldwide. Umbro’s current focus are football kit uniforms (jerseys, socks, and shorts), boots, goalkeeper gloves, and balls. Experts and users agree that Umbro football boots are top quality and some of the highest-ranked models include Medusae II Elite Hard Ground, Velocita 4 Pro Soft Ground and Original Speciali 98 Pro. Umbro sponsors many football clubs around the world including Everton, West Ham United, FC Schalke 04, PSV Eindhoven, as well as the national teams of Canada and Jamaica. Next Post:What Do People Bet on the Most?